So, I guess this is goodbye. So much has changed since I first arrived here! On tree branches, snow has been replaced by flowers. Seeing the city blooming is pretty amazing. I would also like to think that my English has improved, though that may be wishful thinking! I am not sure I have fully mastered the NYC subway system, but I have definitely gotten better at finding my way around it. In the past month, I’ve been working with Brigette on finding aids from the WAB and MRL collections. This was a great way to go hands-on, whether with archival material or XML language. I also got the opportunity to see more of Columbia University Libraries as a whole. I attended workshops on themes from Wikipedia in libraries to writing for Chemists. I also learned a lot about the hiring process of librarians in the USA, which is very different from the French system. I really enjoy working with archive material, and I hope I will be able to see more of it, whether as a researcher in training or as a librarian. It is pretty thrilling to work with unique documents; I also like figuring out a collection or a group, how it articulates both as a whole and with other collections. It is pretty satisfying to organize them to make them available to a larger public. The Burke collections are very interesting: while they are pretty specialized, they approach a broad range of themes and places. During those three months, I got to experience several aspects of an archivist’s work, and I learned a lot about Columbia and Union as institutions. I am very grateful to the Burke Library staff for giving me this opportunity! This entry was posted in Student Entry on April 29, 2014 by Cecile Queffelec. For the first two months of my internship, I worked on a collection from a Methodist missionary in China. I was glad to get the opportunity to do my final internship in the USA. What I hadn’t realized was that it would be a “buy one, get one free” kind of journey: by coming to Burke, I actually got to time-travel to China, 1905-1908. That’s one of the things I like about archives: it can get you to faraway places and long lost people. Harrison Sacket Elliott (1882-1951) was a Professor of Religious Education at Union from 1922 to 1950. But before that, he left the US at 22 to be the secretary of James Whitford Bashford, Methodist Bishop of Beijing and Shanghai. 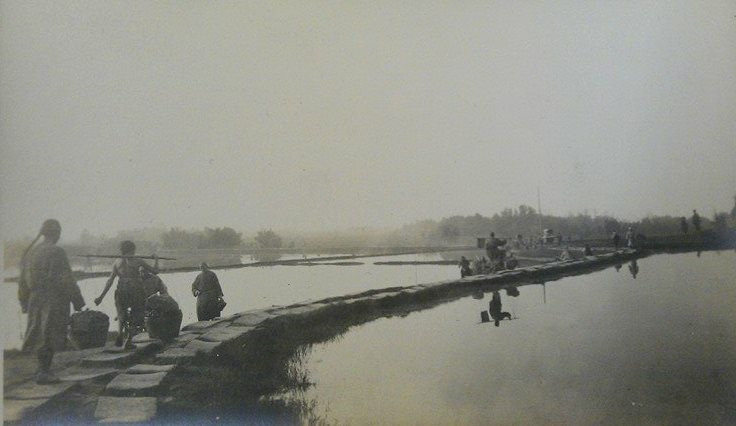 Fortunately, Elliott brought a camera with him, and within the three years he spent in China, he took several hundred pictures (UTS, Elliott, Photographs). In order to get to know him better, I also read the letters he wrote to his family (UTS, Elliott, Series 1). When put all together, it’s like having a diary for all of his time in China. They help with understanding the pictures a great deal. Plus, they are actually very compelling and pretty fun to read. Among other things, there are accounts of an adventurous trip on the Yangtze river, considerations on Chinese religious customs, and detailed lists of dishes he tasted at feasts (I must confess I have a soft spot for the letters about food). Most of the pictures are really good, whether they are of landscapes or people. Elliott was curious about all sorts of things. 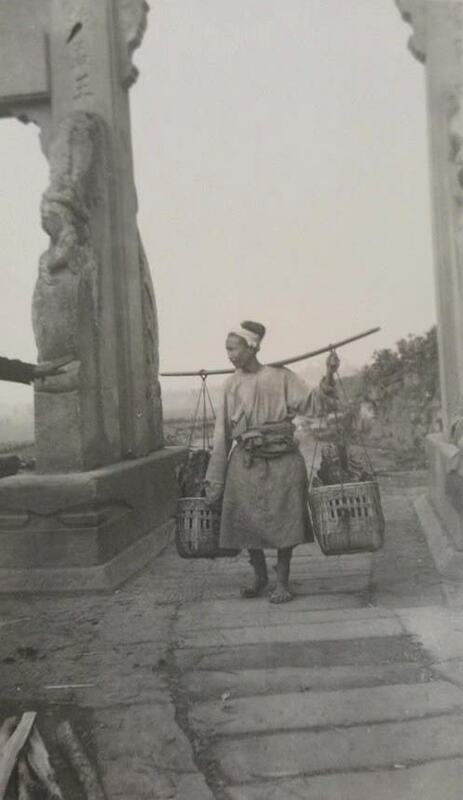 He was impressed by the amazing landscapes of the Yangtze Gorges, of which he took gorgeous pictures, but he was also fascinated by the daily life of the Chinese people he encountered while traveling. 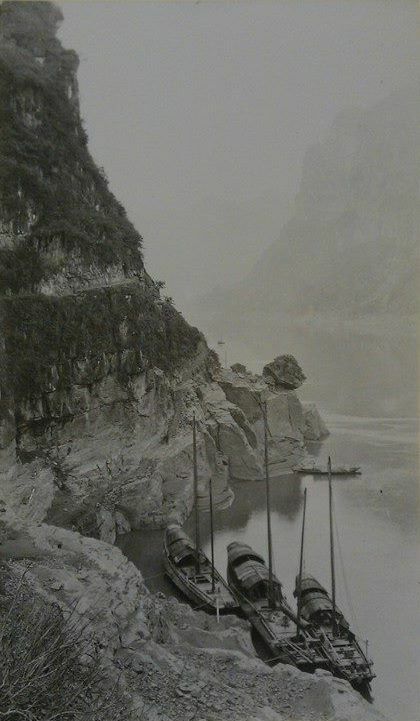 He also took extensive notes and photographs about Chinese techniques used for tracking the Yangtze rapids or for agriculture. Besides learning about China, these documents also provide a lot of information about Elliott, both as a Western missionary in China and as a son and brother writing home. This is a great thing with personal papers: it feels like getting to know somebody. Without a doubt, my favorite letter is one he sent to his younger brother, Calvin. Calvin is learning how to write and just sent his older brother is very first letter. Elliott responds by a very touching letter in which he explains him how his life would be if he were a Chinese little boy: he would have three names, he would learn how to write with a paintbrush… I really enjoyed seeing how Elliott tries to make his little brother understand the life in China. I am really glad I got to work on that collection with Ruth. For now, I am working with Brigette on converting finding aid to XML-EAD, among other interesting things – I am very thankful to get to learn so much during my time at Burke!